Home Breaking News Horsepower of a different colour! 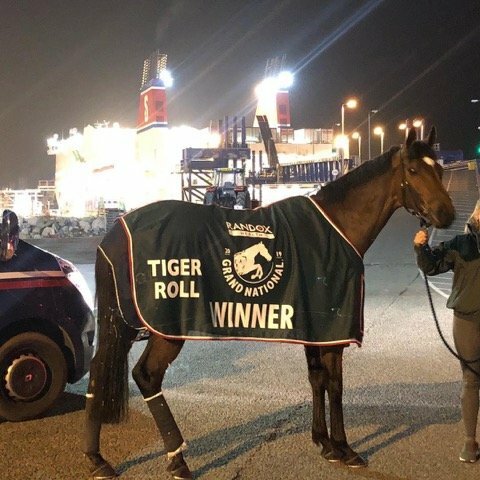 TIGER ON A ROLL…Back-to-back Randox Grand National winner Tiger Roll is pictured boarding the 02.30 hrs Stena Line sailing from Holyhead to Dublin after creating history at Aintree by becoming the only horse since Red Rum in 1974 to win back to back Grand Nationals. Could he do the hat-trick trick next year? His strong legion of fans certainly think so! Coming up later this year, the 2019 Stena Line Dublin Horse Show will showcase world class jumping of a different code at the RDS between Aug 7-11th.